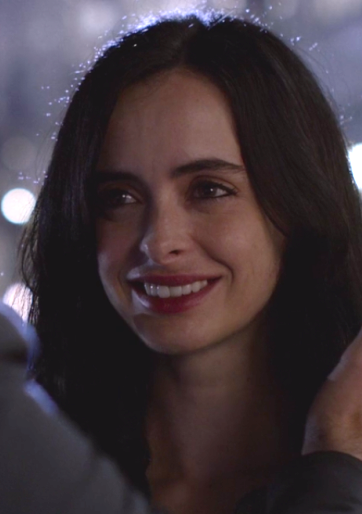 The Pop Culture Podcast by Phantastic Geek: Jessica Jones: 113 "AKA Smile"
RE David Tennant; he said he was offered the part shortly before they began shooting; there was no audition. From HuffPo: "I just got a phone call out of the blue. The night before New Year's Eve last year - which is not really the time of year you expect to get a new job. Totally out of the blue. 'Would you like to be a Marvel villain?'... well, yeah, probably. So it just went from there." "He came up right away, but he wasn’t available. And then, he became available and we were still looking, so we grabbed him as fast as we could," said Rosenberg. "You make a wishlist of people that you hope are going to be able to do it, and David was right at the top," added Loeb. "Things sometimes change, and when they do, one of the things that Marvel is very good at is being nimble. If we can move something around, that’s what we’ll do. This happened to work out that way."